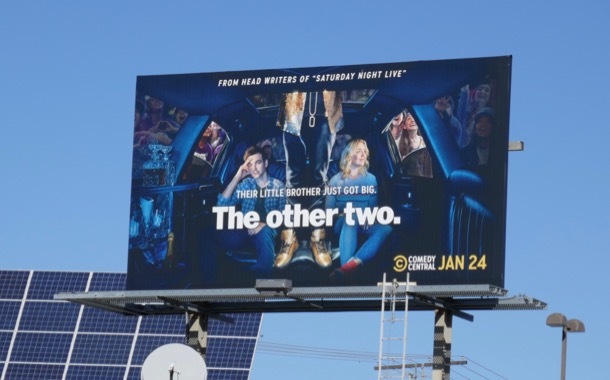 This year Comedy Central's The Other Two shows the other side of superstardom, as two older siblings find themselves in the shadow of their little brother who becomes a viral sensation with his homemade music video. Former SNL head writers Chris Kelly and Sarah Schneider bring the laughs in this family comedy with Case Walker as the 13-year-old 'ChaseDreams', Drew Tarver as his aspiring actor brother 'Cary' and Heléne Yorke as his former dancer sister, 'Brooke'. Even though the pair are a tad jealous of their younger brother's sudden success, they still want to protect him from the perils of showbiz world along with his mother, 'Pat' (Molly Shannon), who's throughly enjoying all the excitement. 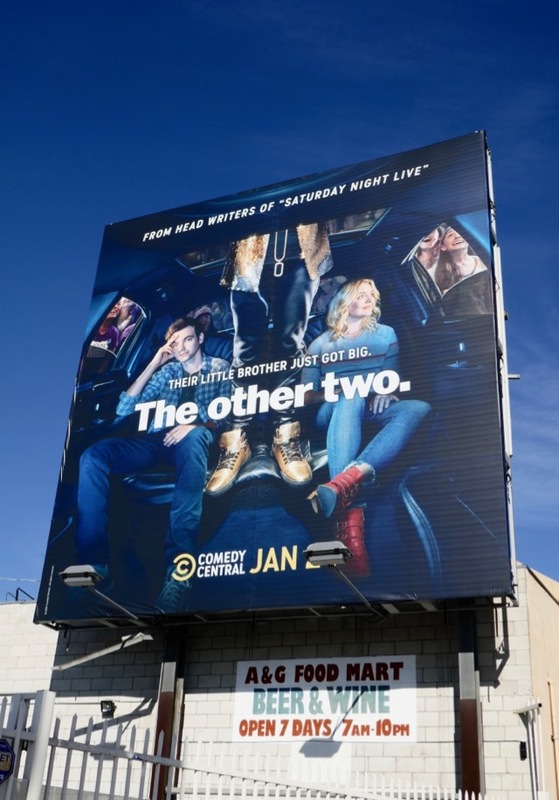 These series launch billboards for the comedy were spotted along La Brea Avenue and the Sunset Strip from January 9 to February 6, 2019. Only time will tell whether The Other Two can help their younger brother navigate the glitz, glamour and pitfalls of child stardom and keep (us) smiling as they do.